Here it is! Ashley’s FLASH SPECIAL tomorrow, 1/24 from 1p-8p, first come, first served. CASH ONLY. $30-$80! All blackwork, black and gray, stipple, or line shading, no color. ← FLASH SPECIAL!! VAlentine’s Day 12p-8p. First come, first served. 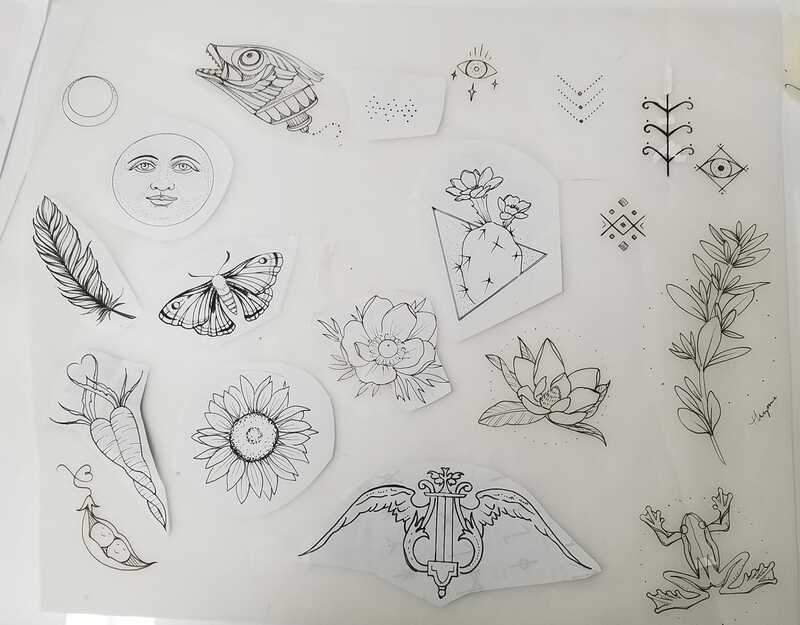 $30-$80 tattoos! CASH ONLY please. Prices are marked next to each tattoo. Come hang out with us and feel free to share with your friends!